A unique cultural experience awaits you! 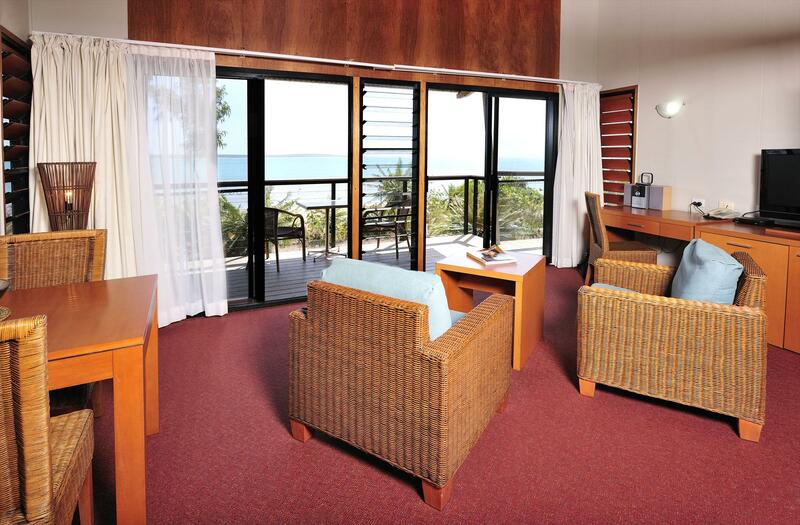 Offering a relaxed and friendly, tropical atmosphere reflecting the lifestyle, hospitality and wishes of the Groote Eylandt traditional landowners. 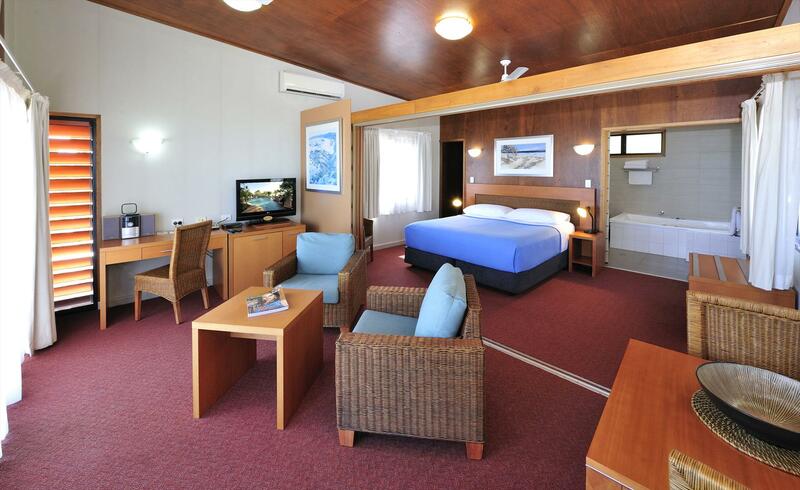 Groote Eylandt Lodge is a highly recommended destination for leisure breaks, fishing and cultural holidays. Groote Eylandt offers anglers a unique opportunity to experience the thrill of deep-sea fishing. One day can be spent targetting barramundi in the estuaries and the next you can experience the thrill of off shore game fishing for such fish as the majestic Sailfish and the mighty Black Marlin. Groote Eylandt is renowned for having some of the most exciting fishing grounds in the world with its pristine waters and the unspoilt environment of the Gulf of Carpentaria. 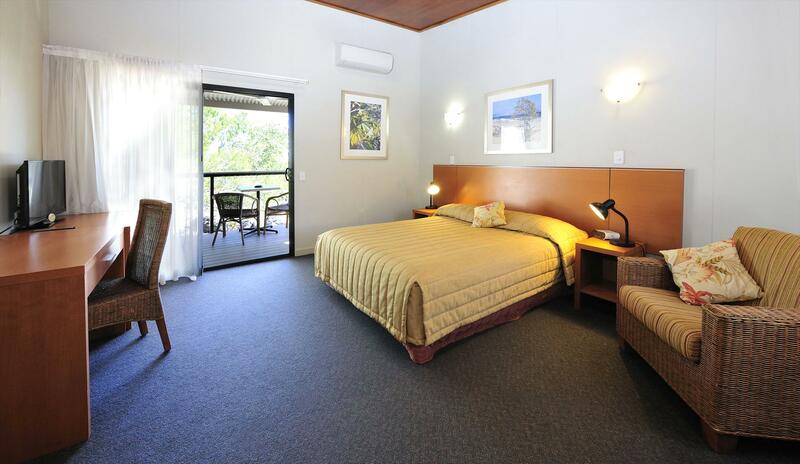 Groote Eylandt Lodge has a great selection of room types available for your stay. Choose from our Gulf View rooms, our Bungalows or our Spa Bungalows, perfect for a fishing adventure trip or a quiet weekend away. The hotel has a fantastic restaurant onsite or relax on the beachside viewing deck and enjoy cocktails while you watch the sunset. The hotel also offers fishing charters and a range of cultural tours to choose from. Click here for Fishing and Cultural Touring Options. All cancellations forfeit the full amount for the first night cancelled. Relax in your own private bungalow set amongst a lush, tropical landscape. Featuring a private balcony and separate lounge area, Bungalows are also well-appointed with Foxtel, tea/coffee facilities, iron & board and small refrigerator.One queen bed. Suitable for up to 2 guests. Take in the lush, tropical surroundings from your own private balcony. Boasting Gulf views, this well appointed, air-conditioned room also offers Foxtel, tea/coffee facilities, iron & board and small refrigerator.